As a Pan-African blog that aims to celebrate our own, today's photo of the day embodies what we are about; the epitome of acknowledging our people. Lupita is one of our brightest African stars representing Africa with pride on the international stage. 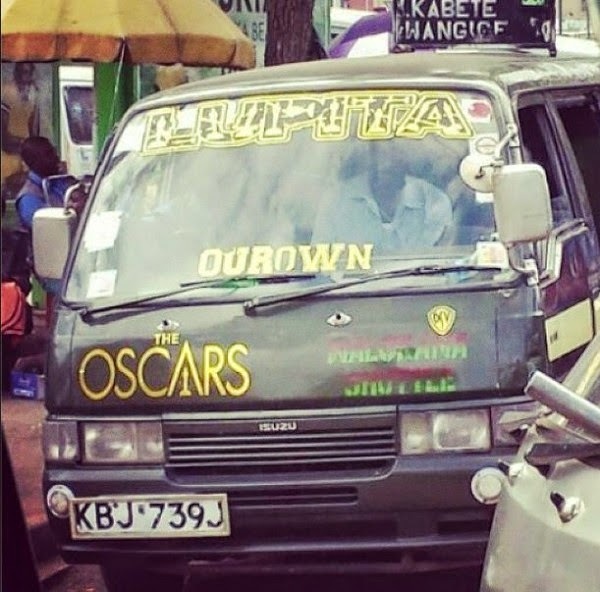 Lupita's name and her Oscar achievement on a Kenyan matatu (taxi) is something that makes me smile. It is about damn time we celebrate our African people. Africa Rising at its best.